Try a Little Empathy, You’ll Like It! Here is a beautiful example of how to be empathic. Often, even if well intended, we defend or dismiss. Try empathy when your spouse, child, friend, or colleague expresses feeling like they’re stuck in a hole. Meeting people where they are instead of trying to fix the situation may feel good to you too! Practicing empathy will reward them and us with the feelings we love most, those of connection. 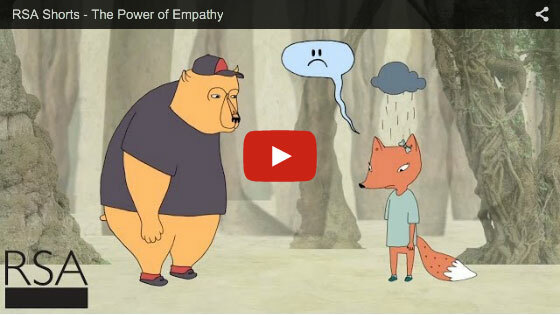 https://www.ginnywinn.com/wp-content/uploads/power-of-empathy.jpg 315 560 Ginny Winn http://www.ginnywinn.com/wp-content/uploads/ginny-winn-mft-logo-120.png Ginny Winn2014-12-31 04:26:172014-12-31 04:30:35Try a Little Empathy, You'll Like It!